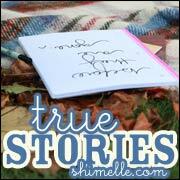 Just a few jottings - - Random ramblings, occasional crafty creations & nature notes included. Trying to "Design a life I love" - succeeding I think -----. Doug & I have been away for the weekend to stay with SIL and partner. It was so lovely to see them - and we had a couple of really nice days. 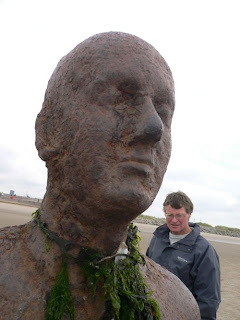 Debbie &b Steve picked us up from the ferry and we went to Crosby to see the Another Place statues - on the beach there. It is the sculpture by Anthony Gormley (who I think is the Angel of the North guy??) 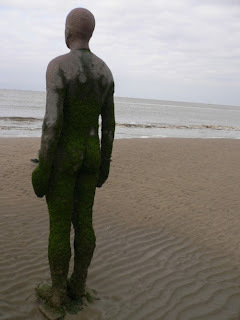 and it really is quite amazing - all these life size, cast iron figures scattered across the sands, staring out to sea. There are a were originally 100 of them I think - not sure if there still are as we didn't count them - the tide was coming in! LOL but they are all numbered. Many of them - if not all, are below the high water mark and it is really spooky watching the tide rolling in as they disappear beneath the waves - amazingly quickly too I might say. 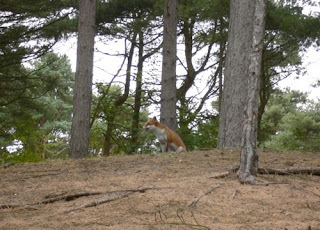 After a delicious pub lunch we then drove to Formby to go to the National Trust property there and look for the red squirrels - which we found in abundance. 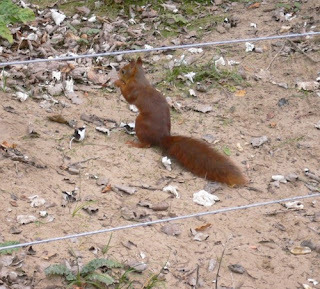 It is apparently the last red squirrel stronghold in the North West of England and they are an endangered species and as such very much protected. They were enchanting to watch and there were lots of families there - both out on the dunes, playing on the beach and walking through the pine woods. The beach is beautiful creamy pale sand, firm to walk on and full of shells - cockles, razorshell, whelks - just lots and lots and some were enormous for the British coast. Well I thought so anyway - I don't remember ever finding any quite so big when I was a little girl - and I loved collecting shells from the beach. The woods have their own, very different beauty - the tall straight trunks stretch to the sky like the towering columns in a cathedral, the forest floor is easy underfoot, soft and scented with the pine needles which carpet it and the atmosphere is tranquil in spite of the numbers of visitors - leaves you - Mother Nature is truly a goddess - feeling refreshed. 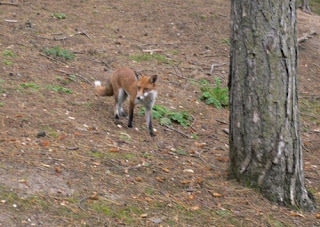 We were fortunate indeed as not only did we see the squirrels but also a fox - happily helping himself to squirrel food (monkey nuts) which the children were tossing onto forest floor for the squirrels! 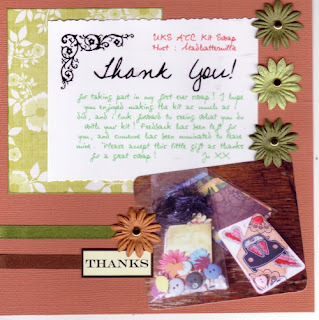 Needless to say I didn't get any scrapping done this weekend, so I here is another page from my Grateful Album along with a few pictures from this weekend. Have our monthly crop this evening - and I am SO not ready!! I am doing a class but haven't actually managed to finish my demo piece!! Not to worry I'll have to fly by the seat of my pants as they say! 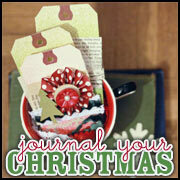 Must go now to print off a few instruction sheets! Thanks for dropping by. Sounds like you had a great time. Lovely piccies. Saw this and as I just love the words(Dylan Thomas) and the speaker's voice )Richard Burton I think, I wanted it on here for a while. You are excellent with words and language. You explain yourself well. An elegant speaker, you can converse well with anyone on the fly. You are also good at remembering information and convicing someone of your point of view. A master of creative phrasing and unique words, you enjoy expanding your vocabulary. You would make a fantastic poet, journalist, writer, teacher, lawyer, politician, or translator.